The long-awaited Defense Industrial Base report is ringing the alarm on supply chain vulnerabilities for the defense sector. As followers of ARPN will know, some aspects of the issues outlined in the report could be alleviated if the United States had a comprehensive mineral resource strategy and streamlined, updated permitting system for domestic mining projects in place. 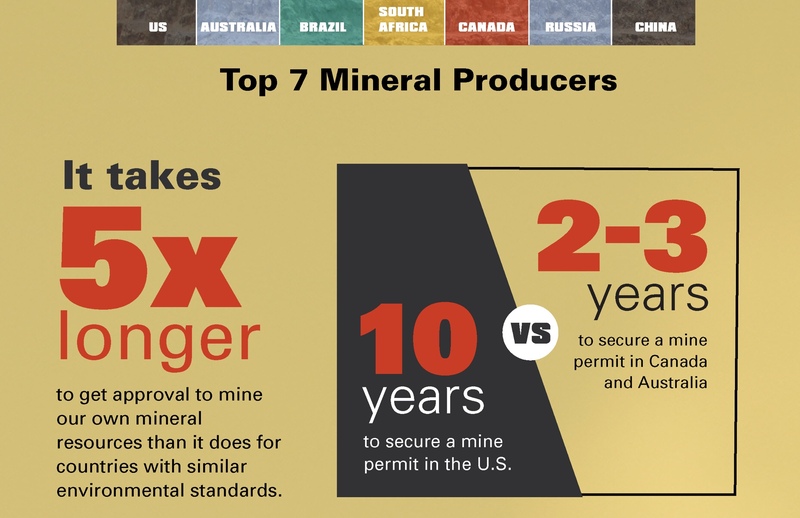 The handy infographic zeroes in on the “burdensome” permitting process, our growing import reliance on foreign sources of supply, and growing demand for a wide range of critical minerals against the backdrop of our increasingly failing infrastructure. And for more on the Defense Industrial Base report and its findings click here. Happy Birthday, America – Onward to Resource Independence Day?